Do you notice a small icon in my display picture? Are you wondering what it is about? 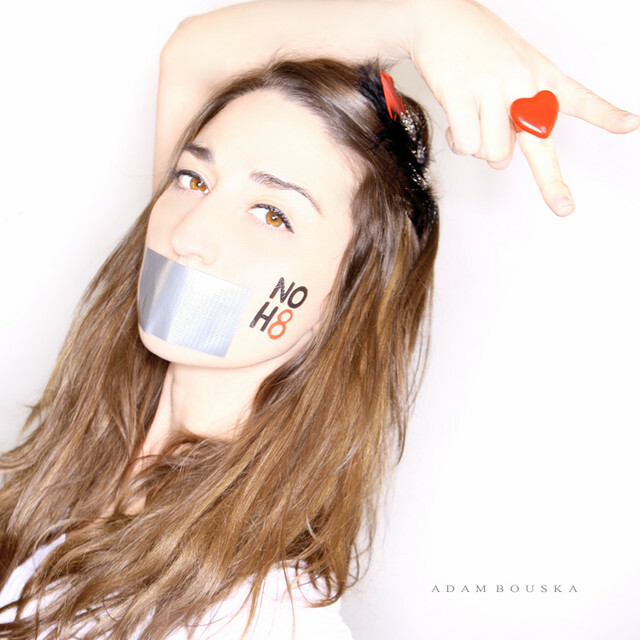 The NOH8 Campaign is a photographic silent protest created by celebrity photographer Adam Bouska (http://www.bouska.net) and partner Jeff Parshley in direct response to the passage of Proposition 8. Photos feature subjects with duct tape over their mouths, symbolizing their voices being silenced by Prop 8 and similar legislation around the world, with "NOH8" painted on one cheek in protest. Nearly two and a half years since its inception, the NOH8 Campaign has grown to over 13,000 faces and continues to grow at an exponential rate. The campaign began with portraits of everyday Californians from all walks of life and soon rose to include politicians, military personnel, newlyweds, law enforcement, artists, celebrities, and many more. The NOH8 Campaign has received overwhelming support from around the world, and has appeared in various local and national news programs and publications. The images are widely used on various social networking sites such as Facebook and Twitter to spread the message of equality. Eventually the images will be compiled for a large-scale media campaign.